Remove the self-doubt, self-loathing and feelings of helplessness with alcohol. Discover the effects of your heatlh and genetics on alcohol craving. WARNING: The information in this book can improve your health, career and relationships just as it did for the author. Following the simple methods in the book can save hundreds of hours of therapy and meetings as well as allow you to enjoy the occasional drink or give it up altogether. You can say good bye to: Lost weekends, alcohol craving, nausea, hangovers, financial abuse, regrets and feelings of helplessness. Based on the research of scientists Durk Pearson and Sandy Shaw, Dr. Joan Larsen and AA founder William Wilson. Fact: You can enjoy moderate amounts of alcohol without damaging your health, if you take precautions. Fact: You do not have to pay for expensive therapy or attend embarrassing meetings to lessen your craving for alcohol. 1. Protect yourself against alcohol poisoning. 2. Repair your health after years of drinking. 3. Enjoy alcohol with less harmful side effects. 4. Improve your sleep & concentration. 6. Learn Simple Secrets to Handle Your Alcohol Better. 7. 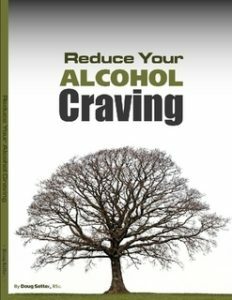 Reduce your alcohol craving. WARNING: Making these kind of bio-chemical and life changes will very likely cause you to change your life, feel better about yourself and leave dead-end jobs and relationships.